Why Brian Is the Right Choice? Brian has always worked to excel in what he pursues, a quality instilled in him by his parents. His father, a military veteran who tragically died when Brian was only in his early 20's, taught him the qualities of perserverance, fairness, honor, and hard work. Brian was the first male in his family to graduate from high school, and the first person to graduate from college. His parents taught him that no matter the setbacks and obstacles that we all face at times in life, we should not let that stop us from pursuing what is best for our family and community. Brian's journey as a lawyer began after graduating from Towson University with a degree in Political Science. Upon graduation, he chose to pursue a career in the legal profession because of his desire to be able to make a difference in his community. Brian attended the University of Baltimore School of Law, and was awarded American Jurisprudence Awards in Constitutional Criminal Procedure and Federal Civil Procedure for obtaining the top grades in his class. As a life-long Republican he also considered it a true privilege to be asked to serve as a law clerk on Ellen Sauerbrey's legal team in her legal suit involving voter fraud that occurred during the 1994 Maryland Governor's Race. In 1996, Brian graduated from law school, placing academically in the top 4% of his graduating class. Upon graduation from law school, Brian was selected to serve a one-year clerkship for the the Honorable Charles E. Moylan, Jr., sitting on the Court of Special Appeals of Maryland. During his clerkship, he developed a deep understanding of constitutional criminal law by working on appellate decisions that impacted criminal investigation requirements throughout the State. After completion of his clerkship, Brian started his career in criminal trial work in Carroll County. Having previously worked for a period of time in the Carroll County State's Attorney's Office in law school, he was excited to have been offered the opportunity to return as a criminal prosecutor. As a Senior State's Attorney for Carroll County, he prosecuted numerous misdemeanor and felony crimes including DUI/DWI, vehicular homicide, police officer assaults, armed robbery, arson, domestic violence, gun crimes, white-collar crimes, drug distribution, and murder. Based on his strong reputation as a highly-skilled Carroll County prosecutor, Brian was selected out of nearly three dozen prosecutors from around the State to serve as a Supervising Assistant Attorney General for Maryland. Brian was asked to form a special statewide prosecution unit targeting illegal gun use by some of the most dangerous criminals. Brian headed numerous significant proactive investigations and prosecutions involving illegal gun trafficking, many of which involved cooperative efforts of federal, state, and local law enforcement agencies from around the entire State. In this position Brian developed a statewide reputation of being an aggressive and skilled prosecutor who had the ability to establish strong partnerships with federal, state, and local law enforcement agencies in order to effectively and pro-actively target criminal activity. Brian ultimately decided to leave the Attorney General's Office to form his own law firm. Brian has continued his reputation as a skilled criminal litigator, and has represented hundreds of individuals charged with a wide variety of crimes in Carroll County. Brian is a strong believer in the Constitution, and has worked to ensure in his representation that the government always acts in accordance with constitutional requirements. Brian's experience representing those accused of crime makes uniquely qualified as State's Attorney as he knows the mistakes prosecutors make, and how prosecutors can avoid those mistakes to ensure that convictions of the guilty can actually be obtained. Brian has not only seen first-hand the failures that occur by prosecutors in handling criminal cases, but he has developed a true understanding of why people commit crime and how a State's Attorney can effectively and pro-actively deter such conduct. 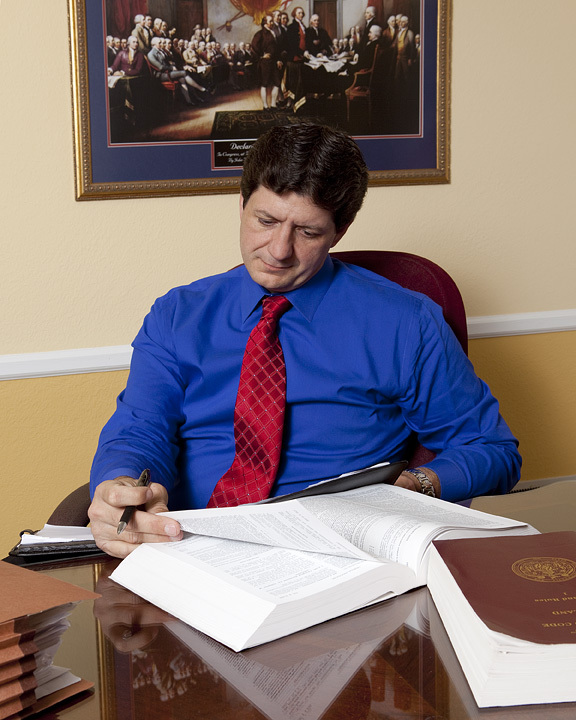 In his private practice, Brian has also used his in-depth knowledge of gun laws to also represent many law-abiding citizens seeking to protect their gun rights, including federally licensed firearms dealers and those denied gun permits. Brian currently serves as the legal instructor and consultant for the Maryland State Police regarding legal issues involving the investigation and prosecution of gun crimes. Brian is so respected in the fields of criminal law, arson investigation, firearms law, and constitutional requirements for criminal investigation that for the last 15 years he has been regularly sought after as a legal instructor for federal, state, and local law enforcement agencies. Brian is not only an Adjunct Professor at the University of Baltimore School of Law, but he has regularly instructed throughout the country for such agencies as the FBI, ATF, Maryland State Police, Department of Homeland Security, National Fire Academy, and Maryland Fire & Rescue Institute. He has had the chance to teach several thousand police investigators and firefighters over the years, and has even been utilized to train prosecutors although he is in private practice. Finally, Brian is one of a very few attorneys in the entire State that is certified by the National Highway Traffic Safety Administration as an instructor on the proper performance of Field Sobriety Tests, and this in-depth knowledge is a tremendous asset to any State's Attorney in combating the dangers of drunk driving. Brian has unquestionably developed a reputation as a passionate, highly skilled criminal trial lawyer and legal educator to law enforcement and fire fighters. He has also over his career held leadership positions in various organizations, including the Chamber of Commerce, and has always sought ways to benefit community organizations through fundraising efforts. Given all of his experience in the criminal field and community organizations, Brian is uniquely suited to serve the citizens as State's Attorney for Carroll County. Still not convinced? Clink on the links below to read even more detail about Brian's work with firefighters and business organizations.